Metro Hotel Ipswich International - This seven story hotel in the Ipswich CBD is located next to the Ipswich Civic Hall. The Metro Hotel Ipswich International provides both holiday makers and business travellers with discount accomodation. 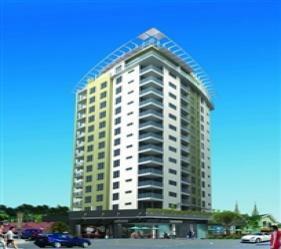 This Ipswich accommodation features modern amenities and is close to everything that the city has to offer. Formerly known as Ipswich International Hotel the Metro Hotel Ipswich International has just been purchased by Metro Hotel Group and to celebrate we are offering some fantastic specials. Nearby Attractions : Located in the heart of Ipswich City next door to Ipswich Civic Hall. Metro Hotel Ipswich International is only a short distance to some of Ipswich's biggest attractions such as the Work Shops Rail Museum, Willowbank Raceway and the Ipswich Racecourse. Being in such a prime location it also provides great access to Ipswich's more hidden treasures such as the cities 500 parks and reserves including Nerima Japanese Gardens. Oaks Aspire Ipswich - Oaks Aspire in Woodend, Ipswich provides luxury accomodation in the heart of the Ipswich CBD comprising studios, 1 & 2 Bedroom apartments all with quality inclusions, secure car parking. The Oaks Aspire has a number of guests facilities and services including Direct Internet Access, Free Car Parking, Guest Laundry, Gym & Fitness Equipment, Lift, Sauna, Spa, Outdoor Swimming Pool, Tour Desk, BBQ and Garden Area which will make you feel right at home the next time that you stay. 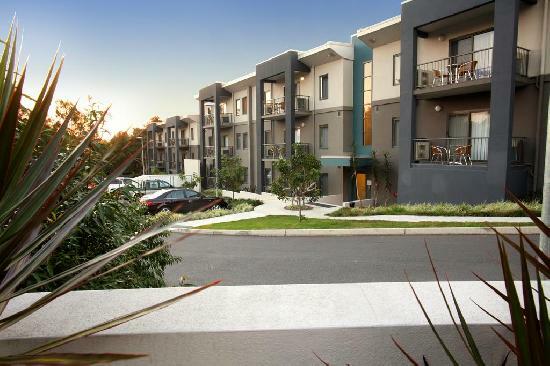 Nearby Attractions : Located in the heart of Ipswich, the Oaks Aspire is located less than 5 minutes walking distance from Ipswich City Mall, the CBD, cinemas, shops, banks, restaurants, transport and medical facilities. , The Oaks Aspire is also close to some of Ipswich’s biggest attractions such as the Rail Museum, Willow bank Raceway and the Ipswich Racecourse. Best Western Ipswich Heritage Motor Inn - The Best Western Ipswich Heritage Motor Inn provides travellers with comfortable hotel accommodation centrally located within walking distance of the Ipswich city centre, hospitals, show grounds, the University of Queensland, Ipswichas well as only a fifteen minute drive to Willowbank Raceway and Amberley Air Force Base. Guests who stay at the Best Western Ipswich in Ipswich will be able to make use of the many guest facilities at the property. These include lounge bar, conference centre, direct internet access, free car parking, restaurant, room service, outdoor swimming pool, tour desk, bbq and daily housekeeping. The Best Western Ipswich Heritage Hotel Motel caters for corporate business travellers with WiFi throughout the hotel, faxing facilities, photocopying services and conference facilities. Nearby Attractions : The Best Western Ipswich Heritage Motor Inn is conveniently located within easy walking distance to Queensland Raceway at Willowbank, Amberley Air Force Base, Booval House, D'Arcy Doyle Place fountain & statues, Denmark Hill Conversation Park, Floating Images Balloon Flights, Global Art Link, Harrisville Museum, Heritage Walking Tours, Ironbark Ridge Vineyards, Nerima Gardens, Pioneer Steam Railway and Queens Park Nature Centre. 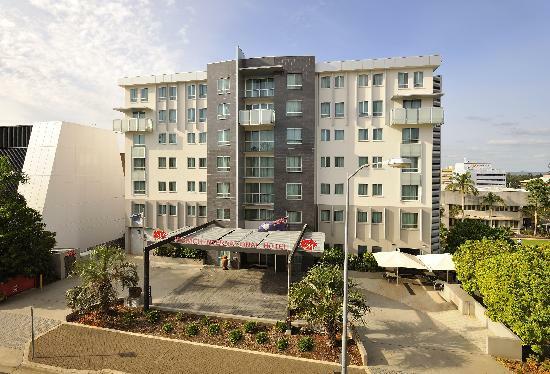 Quest Ipswich - The Quest Ipswich offers luxury studios, 1, 2 & 3 bedroom self contained apartments which provide travellers with discount holiday & corporate accommodation close University of Queensland and Ipswich Showgrounds. Quest Ipswich is a newly completed apartment hotel offering stylish corporate accommodation in the heart of Ipswich. Quest Ipswich offers 4.5 star brand new serviced studios, 1, 2 and 3 bedroom self contained apartments which are light filled, spacious and welcoming. Nearby Attractions : Quest Ipswich Serviced Apartments is located on the doorstep of Ipswich's cultural and entertainment centre, Quest Ipswich’s prime location in the city centre means just a stroll to shops, cafes, restaurants, bars, markets and food halls, With a prime location you are central to the Workshops Rail Museum and other local attractions, Should you need information or assistance in regard to any attractions that we have not detailed here please feel free to ask reception when you arrive. The friendly personnel will do everything they can to assist and make you feel welcome.